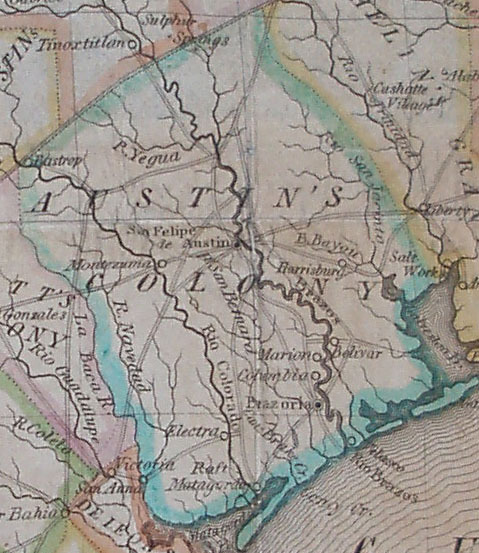 Detail of map: David B. Edward. The History of Texas. The Republic of Texas existed from March 2, 1836, to February 19, 1846. It shared borders with Mexico, the Gulf of Mexico, Louisiana and Arkansas, and the US territories that now include the states of Oklahoma, Kansas, Colorado, Wyoming, and New Mexico. The area claimed by the Republic was larger than the current boundaries of the state, and extended into areas now occupied by the states listed above. The Republic of Texas was formed after Texas successfully seceded from Mexico following the Battle of San Jacinto and the surrender of President Antonio López de Santa Anna. Mexico never recognized the Republic as a sovereign nation. The matter of governing the new nation was an immediate concern, as was determining the laws applicable to the region. Ordinances and Decrees of the Consultation was a first attempt at codifying uniquely Texan law. During the next ten years, the bi-cameral Congress of the Republic of Texas held nine regular sessions, and six second or extra sessions. The Library holds all imprints of the session laws from this period, and a robust assortment of other material. 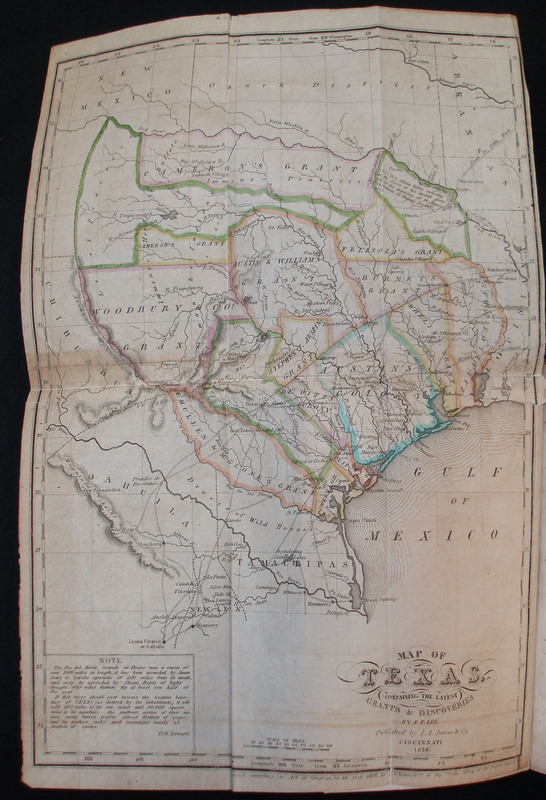 By the 1840’s, the economic health of the young Republic of Texas began to falter, and Republic leaders again began to consider annexation by the United States as a solution. On December 28, 1845, the Annexation of Texas was approved, and Texas officially became a state December 29, 1945. The transfer of government followed in February of the next year. During this short period, literally thousands of works, from broadsides and government documents to histories, guides for potential emigrants, and various narratives, were printed. This exhibit highlights a few of the imprints from the Republic era held by Tarlton Law Library.